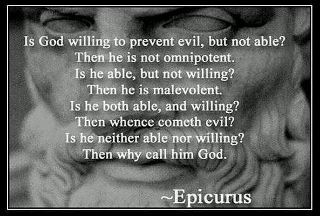 Epicurus (341 to 270 BCE) was an ancient Greek philosopher and the founder of the school of philosophy called Epicureanism. A personal note: I feel that it is of paramount importance to go beyond simply understanding the beliefs of those who hold views different from your own. 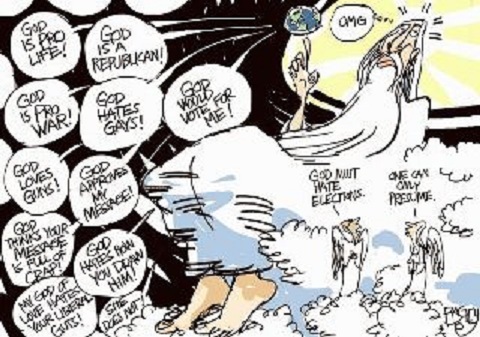 It is important to learn and understand why they believe as they do. Thus, whatever your primary TV news source is, I recommend that you also watch MSNBC and Fox News. Record holder for the "most distressing image" that we have seen in a long time. 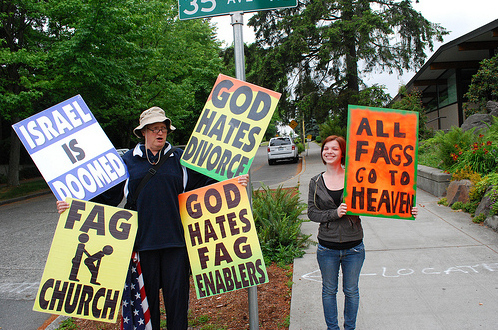 For me, the sadness comes less from the words on the signs than from the apparent age of the sign holders. 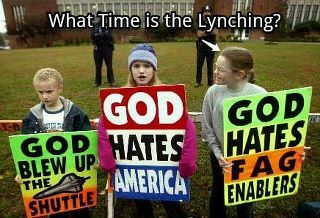 Judging by the slogans, these are young folks from the Westboro Baptist Church in Topeka, KS. 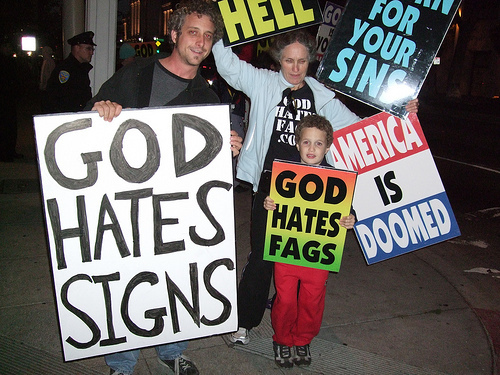 owners of the "God Hates Fags" web site. 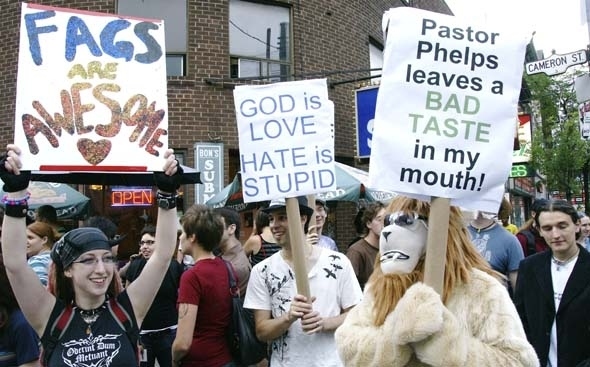 "Here's a trend we can all get behind: people making counter-protest signs at Westboro Baptist Church rallys. [sic] I have a feeling we're going to get some great Gaga signs in the future."